After my gallbladder issues this week my doctor says that I must eat bland foods. I do not like bland! My fav fast food places are out. Bye bye fries, tacos, and pizza. You will be missed! Now I have to figure out what I can eat that my husband will also eat. It is hard finding yummy food that doesn't contain oil or spices. Of course, all I crave is hot crackers. If anyone has any meal ideas pass them along please. So I made my first homemade peach cobbler and I can honestly say that it was wonderful. I used the Paula Dean recipe and a few helpful hints from a nice lady at the market. Tuesday night I began having horrible acid reflux pain and then the vomiting began. I was up and down all of Tuesday night. Wednesday woke up feeling good. At lunch the pain started again. I was nervous that the vomiting was causing me to be dehydrated. I call my doctor and he wants me to come into labor and delivery. I won't write a bunch of complaining words but I'll just say it was not a fun experience. After several hours of starving to death this is what I get. I have never loved toast as much as I did in that moment. Please note the bite that was taken. I couldn't wait. Like I said starving to death. My arms look like I'm a needle carrying drug addict. The nurse did not do a good job on the IV. Sorry lady but I hope I never see you again. I am now put on 8 pills a day to help with the gallbladder pain and have to eat a bland diet. I went from craving a margarita to craving taco bell. What is up with wanting what you can't have? So me and the hubs were out looking for great finds at 7:00 am when just as we were calling it a failure I spotted this vase for $2.00. It is very orange and typically not my style but I thought I might could put together a fall centerpiece with it as my focal point. So this great find led us to Ed's Produce where we found the neatest pumpkins. I had no idea the types of pumpkins out there. After we stopped by Ed's Produce, we then had to hit up Walmart for a table runner, a candle, and some vanilla ice cream. Oh I forgot to mention the fresh peaches I bought. I'm going to attempt my first ever homemade peach cobbler. I'm very happy with the final product. Now it is time to get ready for some football and attempting that peach cobbler. Happy Saturday to ya! I have the best postcard swap buddy! She is Leslie at violetimperfection.blogspot.com. Please check her out because not only is she super sweet but she also has cool blog posts. When I got my postcard in the mail it was sealed with a baby feet sticker. So cute! Once I opened it I was taken back by the cuteness and just how personalized she made it. She had great words of encouragement for my upcoming job as mother. She said be flexible which is something I’m not. It really got me thinking how I need to work on my flexibility. Thanks for those great words of wisdom! I printed it at Walgreens so it would look shiny and then bought a cheap frame from Dollar General. Overall this cute project was $6.00! I'm pretty proud of my crafty week! After much thought and debate we have decided to stay put in our current home. With only 10 weeks before the baby arrives we wanted to stay put. We will look at the issue again later. Since we have decided to stay we want to get our house in shape. I’ve made a list of room by room projects to keep us on task and truthful. When you get a chance check out my list and I’ll post the improvements as we get them done. 1. I had my 30 week appointment on Thursday and everything is wonderful! 2. My husband is actually off work this weekend! 3. My bestie and her husband are stopping by Sunday for a quick visit as they pass through town. 4. My mom has volunteered to come over Sunday to help me get started on my project list. 5. I’m in the process of thinking up a cute fall wreath idea. Any ideas??? I don't have a lot of time because the hubby is off work and we are going to my parents for a Labor Day steak dinner. Here are two projects that I did over the weekend. 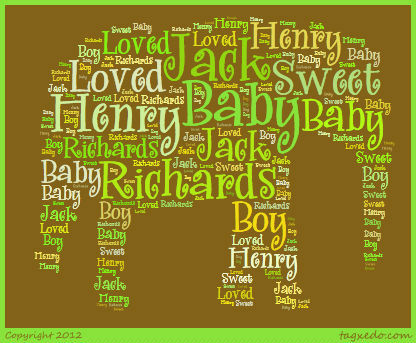 The first one is a canvas for Jack's nursery. I had the canvas and the paints. The dragon sticker came from Dollar Tree so all in all it was a dollar project. The second project is a yarn wreath. I made it to go on my library door at school. Wrapping the wreath was frustrating at first but I quickly got the hang of it. I'm very happy with my crafty weekend. Now on to steaks! Not really sure if I can call it a tradition yet since I've only done it twice but I like the word tradition so I'm using it. The past two Saturdays I have gotten up, dressed quickly (looking a hot mess), made a cup of coffee, and headed out the door to hit the garage sales. We have this area where people set up their merchandise in a parking lot so it is like a little outside garage sale mall and I LOVE IT. Last weekend I found an almost new hard plastic wagon for only 15 dollars. My nephew loves it and I love knowing that it is so durable that my little Jack Henry will get to use it one day. I found even more scores today. I didn't take a picture of everything I got but as I pinterest these items I'll post my finds. Here is one of the items I got today and how I redid it. I decided to make a little something for Jack's door. The pic quality isn't great. Sorry! I'm not a photographer.